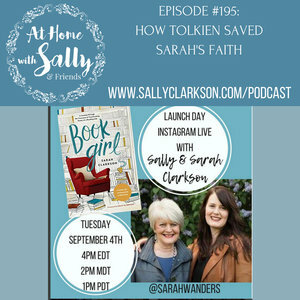 I’m a regular guest on a variety of podcasts including my lovely mom’s, At Home with Sally, and my brilliant sister’s, Speaking of Joy. I update this page regularly with my most recent conversations about books, beauty, arts, or theology. Take a look… and a listen! 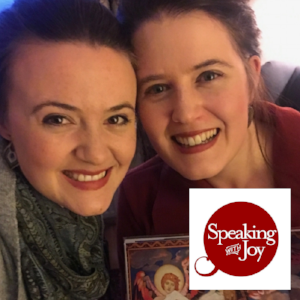 Joy and I discuss our love for Celtic prayer, music, and story. This was pure delight as we both got to enthuse about the beauty and mystery, the sorrow and hope so richly a part of the music, art, and spirituality we both love. Stories teach us how to wrestle well with suffering. 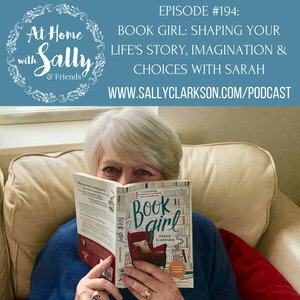 In this episode I discuss the power of narrative to speak into the brokenness of human existence offering the forward motion of action, creativity, and hope. In this episode I explore the power of narrative and language to shape our identity, our desires, and our sense of hope. To read a story is to begin the journey toward recognizing the narrative nature of our own existence and becoming an agent in forming it. 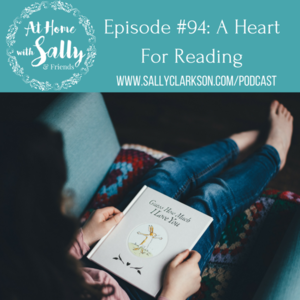 In this episode, I got to introduce my upcoming book Book Girl: A Journey Through the Treasures and Transforming Power of the Reading Life, read aloud from the intro I wrote about reading to my unborn Lilian, and laugh with my mom about the gifts and grace of a reading life. In this episode, my mom and I discussed the way that stories form the moral imagination and broaden our capacity to understand the world. In this episode Joy and I chatted with my mom about the traditions and gifts that came to us as we shared life round the family table.